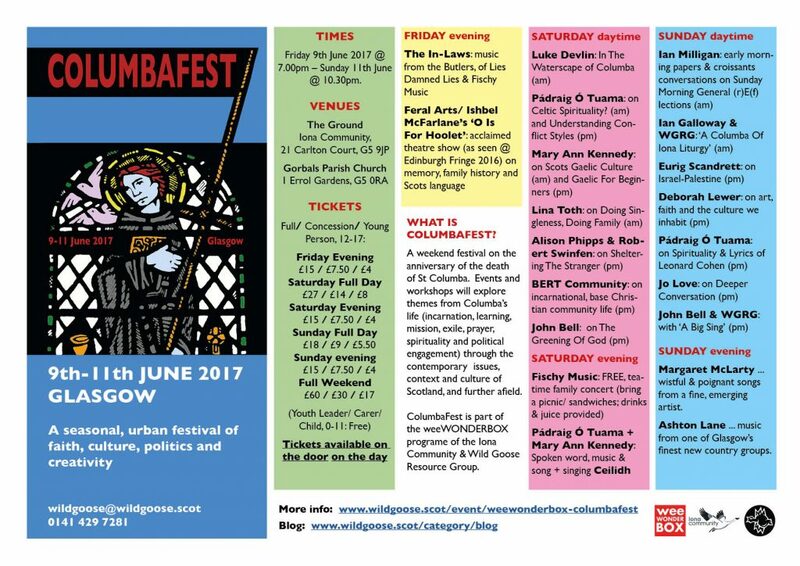 Full Programme with Timings & Venues here. Local Glasgow wonders and country band Ashton Lane have a romantic back-story and come from fine musical stock. 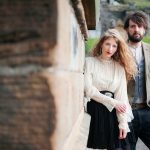 They are husband and wife duo, Esther and Tim O’Connor, and they are part of a new wave of homegrown modern country music originating in Scotland and the UK. Last year Ashton Lane performed at the famous Country 2 Country festival in London, as well as receiving nominations in two categories at the BCMAs (British Country Music Awards) for best duo and best song. They also played an impressive set at McEwan’s Party At The Palace in August, and toured extensively round Europe. They’ll be performing at ColumbaFest on Sunday evening, fresh (and jet-lagged, no doubt) from having performed at the Isle Of Wight Festival a mere 24 and a wee bit hours earlier! 2017 sees Ashton Lane gearing up towards the release of 3 new singles and an album to follow. They are previewing some of their brand new songs via their highly popular “Kitchen Sessions” (over 1.6 million views and counting). They are heading back on tour round Europe twice in 2017, plus performing a string of UK dates. They’ve also been invited to join the line-up for Millport Country Festival, I in September 2017 along with the Shires and Mark Chesnutt, as well as the line up for the world famous Isle of Wright festival in June 2017. 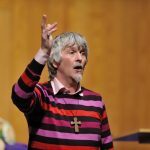 … is a preacher, hymnwriter, composer, lecturer and broadcaster and resource worker with the Wild Goose Resource Group of the Iona Community. He is a past convenor of the Church of Scotland’s Panel on Worship and the committee that produced the ground-breaking Church Hymnary 4. In 1999, he was honoured by the Presbyterian Church of Canada and the Royal School of Church Music which bestowed a Fellowship on him. In 2002, he was awarded an honorary doctorate by the University of Glasgow. In 2013, he was awarded the Community of Christ International Peace Award. John has produced many collections of liturgy, scripts, sermons and reflections, original hymns and songs, most of which are published by Wild Goose Publications and by GIA Publications in North America. He lectures in theological colleges in Britain and US, but is primarily concerned with the renewal of congregational worship at grass roots level. John hails from Kilmarnock and like Johnnie Walker, the ubiquitous creator of the world-wide whisky, John shares an affection for colourfully, distinctive dressing (without the top hat, red coat, white britches and black knee-length boots). 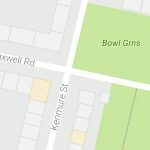 The BERT community are a bunch of faithful folk, who have been living, working and witnessing in the Pollokshields area of Glasgow for the last three decades (plus a wee bit). They share a communal life, that consists of weekly worship, study, hospitality and mutual accountability for their money and other resources, seeking to emulate the same principles of many base Christian communities throughout the world. 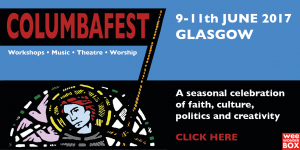 Luke Devlin is a member of the Glasgow Catholic Worker apostolate, director of the Centre for Human Ecology and a doctoral researcher at the Intercultural Research Centre at Heriot-Watt University, researching the cultural and religious heritage and human ecology of the river Clyde. He specialises in participatory action research and community empowerment, with a background in faith-based community development and crisis response inspired by liberation theology. 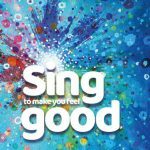 Fischy Music works with up to 20,000 children every year in primary schools across the UK and their songs – full of hope and humour – such as ‘Build Up‘, ‘You Are A Star‘ and ‘Stronger‘ are widely used in both schools and churches. They have just released their latest album, ‘Sing To Make You Feel Good‘. Fischy Music resources equip adults to support children’s well-being. As a result, hundreds of schools sing their songs and reflect on the meaning behind the songs every year. They also work directly with thousands of children every year – from those facing the challenges of everyday life, to smaller, more in-depth groups of children facing significant emotional challenges, such as loss and grief. Throughout this work, they emphasise the uniqueness, creativity and worth of every child and produce memorable, easy to learn, fun songs that any child can sing. Steve Butler and daughter-in-law Suzanne may not be household names, but have been quietly responsible for a huge output of music for a combined total of around 6 decades. 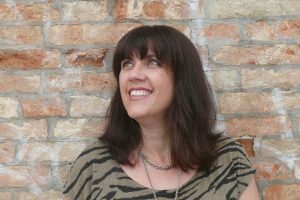 As a writer and performer for acclaimed children’s music organisation, Fischy Music, Suzanne has written and performed many of their best-known songs, and has been in constant demand as a singer, fiddler, song writer and music leader since her late teens. Steve has been a singer-songwriter and music producer since the 1970’s and had a Virgin Music recording contract with his band ‘Lies Damned Lies‘ in the 1990’s before setting up ‘Heaven’ recording studio in Ayrshire – and later taking up his current role as Rector of a very music-focused Episcopal church in Edinburgh. Steve and Suzanne have been working together on a variety of projects since 2002, and this concert is a rare opportunity to take a guided tour through their creative output, and their own all-time favourite songs – both secular and sacred. 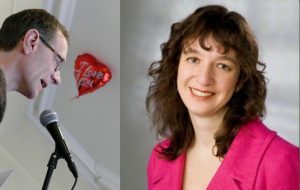 Both gifted performers with compelling voices, their family connection enhances their musical team-work to produce a rich, soulful and emotive sound. 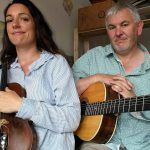 Beautifully supported by piano, guitar, fiddle and percussion, they cover a wide range of music in their own distinctive mellow style – reminiscent at times of Joni Mitchell and Jackson Browne, with a strand of Scottish folk woven throughout. If you enjoy classic song-writing, and appreciate the way in which music can help us explore our responses to life, faith and feelings, The In-Laws in concert will provide musicality to savour. An urban Gael from multi-cultural Glasgow, Mary Ann Kennedy’s life has been one of music. A member of the ‘first family of Gaelic music’, The Campbells of Greepe, her earliest memories are of a home filled with songs of community, history, work and worship from their exile island of Skye. A hothouse classical training – and a brief diversion running the BBC’s Gaelic news service – sees her today as musician, singer, broadcaster, conductor, composer and producer, based at her creative Highland hub, Watercolour Music, with husband and fellow musician-producer Nick Turner. Most of her life has been making music with others – collaborating, nurturing, chivvying and inspiring. A founder member of Cliar, winners of the ‘All-time Best Album’ at the first Scots Trad Music Awards, she is also twice winner of the Lorient Concours International de l’Harpe, double Mòd gold medallist (Gaeldom’s premier festival), and Saltire Award winner for ground-breaking choral work, Lasair Dhè. She formed the tri-Gaelic project Aon Teanga through PRS flagship, Beyond Borders; produced award-winning albums and a biography with her family; was commissioned in the first UK New Music Biennial, and has been in residence at Gaelic college, Sabhal Mòr Ostaig, and Aberdeen Music Hall. Now, after years of writing and recording, she is stepping forward as a solo artist, with two albums reflecting her passion for tradition and fearless engagement with new Gaelic music and songwriting. Her debut solo on ARC Music is ‘An Dàn’ – the first-ever complete album of new Gaelic songs, and a unique collection of her original music with lyrics by herself and some of Gaeldom’s greatest poets. And having taken 30 years over the first one, the albums are like buses – ‘Glaschu’ (2018) will be a love-song to her Glasgow Gaidhealtachd upbringing. 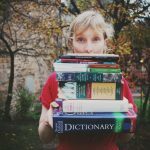 Jo is a pedagogue, arts worker, investigator, writer and critical questioner, who likes drawing people into creative thinkings and doings. Inveterate journal keeper and articulator of incisive observations, she has also trained as a primary school teacher. She is an ordained deacon of the Church of Scotland and a Member of the Iona Community. 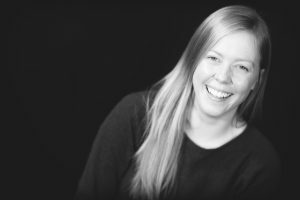 Jo worked for several years in urban parishes, with much involvement in youth and children’s work, faith exploration and enabling creativity in worship. She is qualified in primary teaching and is also a long-term member of the Holy City planning group. Born and dragged up in the Kingdom (that is, … Fife), she has a surprisingly normal and engaging personality. She occasionally indulges her love of driving lorries and clearing beaches of flotsam and jetsam. Drawing others into creative thinkings and doings is her passion and delight. The Hoolet was made with the Arches (RIP) and first performed at Behaviour Festival 2015. From April to June 2016, the show was performed across Scotland in our rural tour funded by Creative Scotland and North East Arts Touring. The show then went to the Edinburgh Fringe in 2016. “Language is personal. Nothing gets closer to our hearts. And yet, by its own nature, it’s always social. Who owns it? Who appoints it? Who governs it? And why? Winner of The Arches Platform 18: New Directions Award 2014. ‘O Is For Hoolet’ will be touring to various festivals in 2017. Keep an eye on this page for more information. Margaret is a Scottish singer-songwriter and multi-instrumentalist. Her debut album “Brigid’s Birds” will be released in June 2017, after a successful Kickstarter project, and draws on life and people loved in Glasgow, Iona and Zambia. With the band Hinba, she recorded songs for the Wild Goose Resource Group’s album ‘Enemy of Apathy‘. During the day she works for the charity Fischy Music. Margaret will be playing songs from her debut album “Brigid’s Birds”, which has been described as ‘exquisite’, ‘tender’, ‘evocative’ and ‘a tiny feathery masterpiece’. 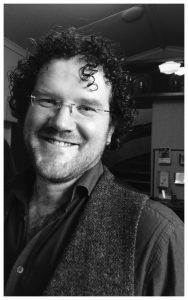 Pádraig is a poet and theologian based in Belfast. Since 2014 he has been the leader of the Corrymeela Community, Ireland’s oldest peace and reconciliation witness. Pádraig’s work encompasses reconciliation work dealing with the legacy of ‘The Troubles’ in Belfast and beyond. In this capacity he facilitates encounters between people of differing political and national identities for the purpose of shared conversation, mutual learning and deeper understanding. His theological work has focused on Gospel scholarship, especially on the inter personal encounters of the gospel traditions, and from those analyses drawing practical suggestions for public dialogue, particularly where those public dialogues are contentious. His poetry (‘Readings From The Book Of Exile‘, 2012 and ‘Sorry For Your Troubles‘, 2013) is published through Canterbury Press and ‘In the Shelter‘ was published by Hodder & Stoughton in 2015. ‘Daily Prayer‘ will be released by Canterbury Press in the summer of 2017. Robert is Finance and Services Manager of SCIAF, the Scottish Catholic International Aid Fund. Both are members of the Iona Community. 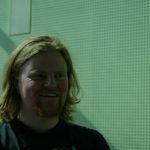 Eurig is a Lecturer in Sociology at Edinburgh’s Queen Margaret University. 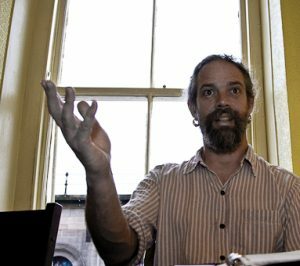 For 8 years he was head of community action at Friends of the Earth Scotland and he has developed a number of pedagogical and research projects in environmental justice campaigns. He co-authored Environmental Nakba: Environmental injustice and violations of the Israeli occupation of Palestine for Friends of the Earth International. He is a member of the Iona Community. 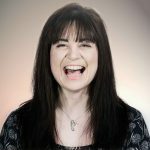 Lina Toth is Assistant Principal and Lecturer in Practical Theology at the Scottish Baptist College in Paisley. Born in Lithuania, she joined the College in June 2014, having relocated from the International Baptist Theological Seminary in Prague where she had served as a course leader, lecturer and later as pro-Rector and Academic Dean. 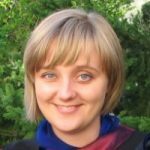 Lina has BA degrees in Theology and English from the Lithuania Christian College in addition to an MTh in Applied Theology and PhD from IBTS/University of Wales. Rev Dr Lina Toth (formerly Andronoviene) is Assistant Principal and Lecturer in Practical Theology at the Scottish Baptist College. A musician and artist as well as a theologian, she speaks at conferences on various aspects of ethics, spirituality, and theology of culture. 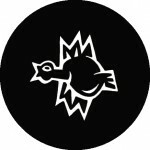 The Wild Goose Resource Group is the semi-autonomous project of the Iona Community, who work in the areas of song, liturgy, Christian education and training of both lay folk and clergy. The WGRG consists of John L. Bell, Jo Love and Graham Maule, more than ably supported by Gail Ullrich (administrator) and Kirsty Campbell (sales administrator). They are a very dodgy bunch, involved in too many nefarious things to describe here. However, if you want to find out more about them, follow this link.